One of TutorMing's leaders has been selected to host an exclusive session at AmCham China's Talent Conference, to be held in Shanghai on June 7th at the Four Seasons Hotel. "This exciting annual event will address key benchmarks for success in China’s increasingly tight labor market including workforce management and leadership development issues," says the website. 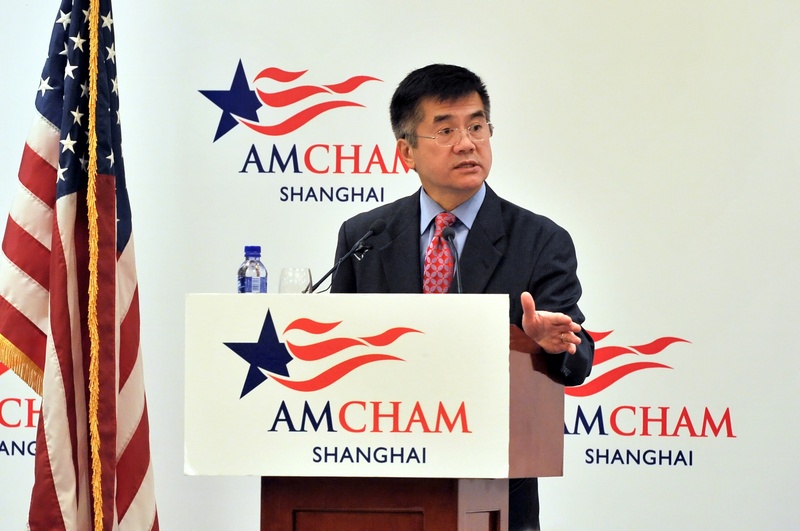 The Talent Conference is an annual event hosted by the American Chamber of Commerce in China. Their mission is to help American companies succeed in China through advocacy, information, networking and business support services. TutorMing is excited to participate, as this aligns with many of their own mission statements when teaching Business Chinese to clients. Many of TutorMing's students are expatriates, and one of the common issues they mention is being unable to scale the language barrier between them and their coworkers. That's where TutorMing comes in. Through Chinese language education, TutorMing seeks to foster international communication and bridge cultural gaps between businesses and individuals. Why do many foreign employees who have worked in China for a long time still find a wall between themselves and their Chinese colleagues and superiors? Why do people who are highly skilled in their areas still encounter the frustration of not being able to lead their teams effectively? What can HR do to help these people make most of their time working in China and also generate more value for their company? Many interviews and surveys have indicated that foreign people who have made the effort to learn Chinese, even if they only speak a smattering, are viewed much more favorably by Chinese people. Having a good understanding of Chinese language and culture enables them to get around a lot quicker, and, above all, to win people over in the workplace. Do you want to explore the best way to help your foreign employees better fit in their work environment and get along well with co-workers? Then come and join us at TutorMing’s spotlight session. Great prizes are also on offer! Each participant will receive a superb TutorMing “1+3 Fundamentals Pack” (worth US$100) and will be entered in the prize draw at the end of the session. Prizes include a course of “100 Mandarin classes” taught by TutorMing’s certified native Chinese tutors, and much more. If you are an expatriate working in China, or if your company recruits expatriate employees, you shouldn’t miss this opportunity! Jamie Lin is the business development director at TutorMing. Before joining TutorMing, Jamie worked at first-rate financial institutions such as Citigroup and Fubon Financial. He has also worked for a Shanghai-based venture capital company that focuses on sourcing deals across Greater China. Jamie has a degree in International Business from National Taiwan University, where he was actively involved in the promotion of the International Chinese Language Program. Want to learn Chinese? Try TutorMing to learn more!